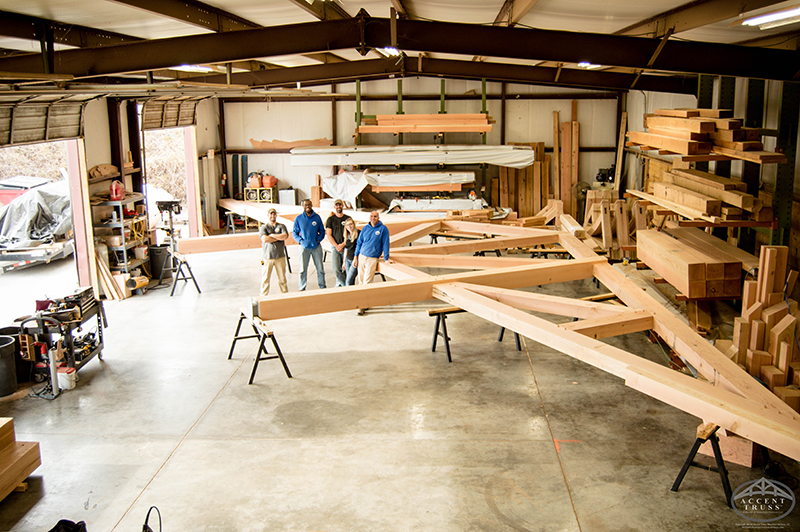 Our timber projects all start in much the same way. 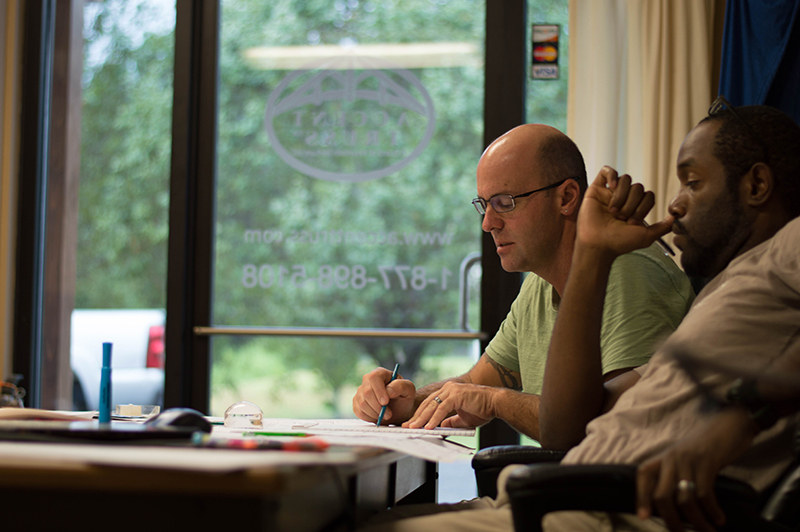 Sketches and plans, raw materials, and a highly skilled team ready to take it to the next level. Each team member plays a role in making each project a success, and the teamwork shows in the excellent quality craftsmanship we always strive to deliver. Check out some snippets of our process! 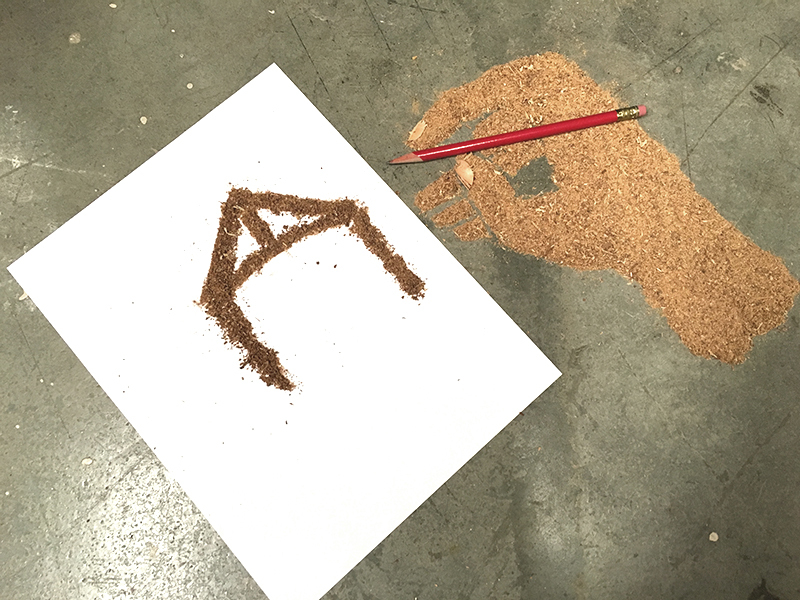 No matter the size of a project, it all starts here. Crafting the work begins with precise planning. Careful calculations are done to ensure only the best is delivered to our clients in the end. Jim and Juston are experts at this! We can’t do what we do without the best timber we can find! It’s not uncommon to see the shop full of pieces both already cut and waiting their turn to be crafted into something great. 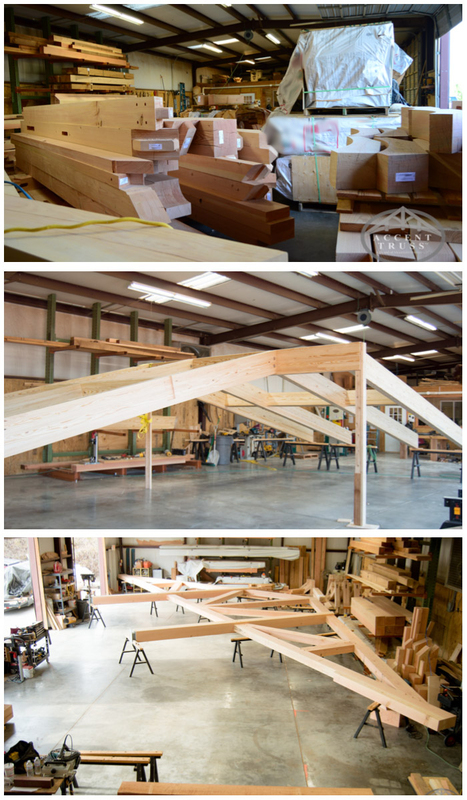 Watching those stacks transform into trusses and accents like the two above is a very fun part of the job! We do whatever it takes to make our timber stand up to the test of time. 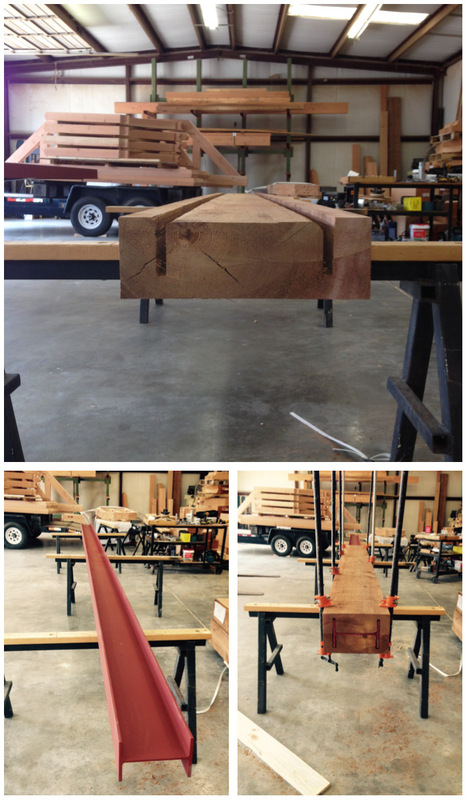 Sometimes we take an extra step for pieces like this beam that will be supporting a ton of weight. The guys in the shop are highly skilled and always go above and beyond for our customers. This is just a peak into the process, and the team that works on every project to make sure you never get less than the best. We call them The Experts for a reason!